One of the most crucial aspects of scouting for a job as a fresher is your resume, a strong medium that helps you market yourself to the prospective employer. It has it all in a page or two. Your primary and ancillary skills, academic milestones, personal dossier etc. As a fresher, having a strong resume is as important as your interview since you do not have the professional experience to boast of. Most of us fail to understand the nuances of a good resume writing and end up replicating a format from a fellow or pick up samples from the internet. The irony is that most of these samples do not fit the bill, defeating the purpose. Here are our tips that will help you in building a solid resume on your own, much to your help in improving chances of landing a job. The following sections have been defined in a chronological order. Following them in this order is highly recommended. The top most section of your resume that contains your full legal name in a larger font (maintain standard size for rest of the content) followed by your contact details like communication address, email id and mobile number. This space is supposed to help the recruiter get acquainted with your identity. This section should appear on top of your resume and should clearly define your career mission and how your skills can benefit the organisation. Do not make it sound like an extended oath. A maximum of 3 lines would be sufficient. This is probably, the most important section of the resume that the recruiter will be interested in. It should carry a clear definition of your last educational qualification along with key skills and academic achievements. Details of significant projects, workshops attended and all those activities that speaks about your ability should be added here. Break up of any freelance/part time jobs/apprenticeship can be included here if it helps in throwing weight to your profile. Provide details of your education right from schooling to degree/graduation in chronological order with details of the university or name of institute with percentage or grade scored at the end of each one. Also provide year of completion and reason for break in education, if any. Here, you can provide details of your working knowledge of software packages such as MS office or break up of your hands on specific tools or machinery. Inclusion of details of your hobbies speaks about the kind of person you’re and throws light on your personality. In addition to the above, feel free to include sections/information relevant to your qualification or the company you’re applying with. 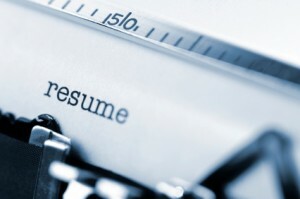 Overall, 2 pages of content is more than sufficient for a fresher’s resume.